Construction Staking for Civil Plans | Atlas Surveying Inc. The best designs cannot be built before being identified on the ground accurately. Our staff works closely with site contractors and civil engineers to create a seamless pipeline for the civil design to get constructed. Our experience in this process has trained us to ask the right questions and identify concerns with the civil plans. Mistakes can occur in a set of plans. If they do occur, identifying them, making the appropriate party aware, and getting them corrected before the designs are built saves the client time and money. 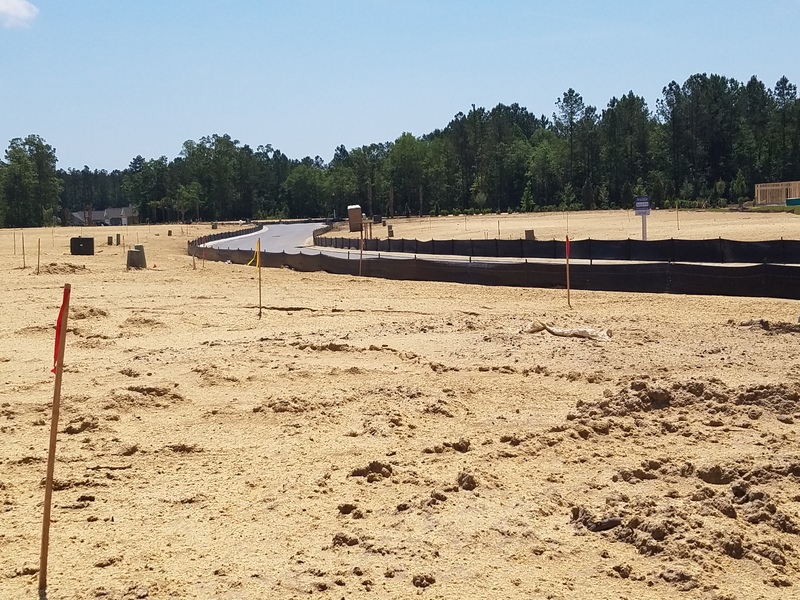 Our staff has 4 decades of experience up and down the east coast working with numerous site construction companies and civil engineers on subdivisions, roads, borrow pits, utilities, airfields, earthen dams, bridges, and commercial parking lots. In an effort to deliver better service, we have equipped our crews with a variety of resources that includes conventional total stations & levels, robotics, GPS, and machine control to give them the flexibility to respond with the right application. 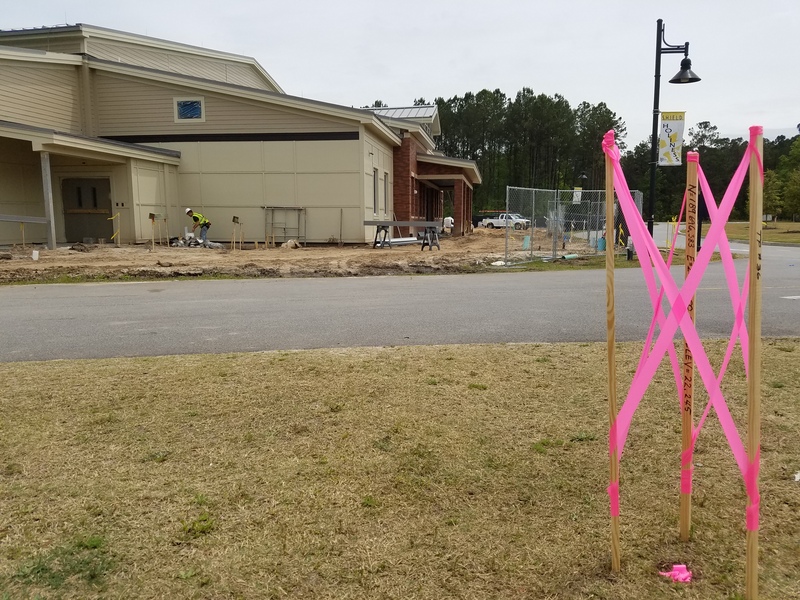 We have worked with numerous General Contractors assisting with the construction of schools, clubhouses, hotels, office buildings, grocery stores, fighter hangars, auto dealerships, fire departments, apartment complexes, assisted living facilities, and other commercial buildings that have ranged from one story to multiple stories. The experience that we have gained working off hundreds of architectural and structural plans has honed our abilities to read plans with a sharp eye and communicate clearly with the GC and his sub-contractors. Our main focus is the client. Listening to their expectations and giving them layout that makes their jobs easier is the end goal for our staff. This is just one more way Atlas Surveying can contribute to the success of the project and the team. 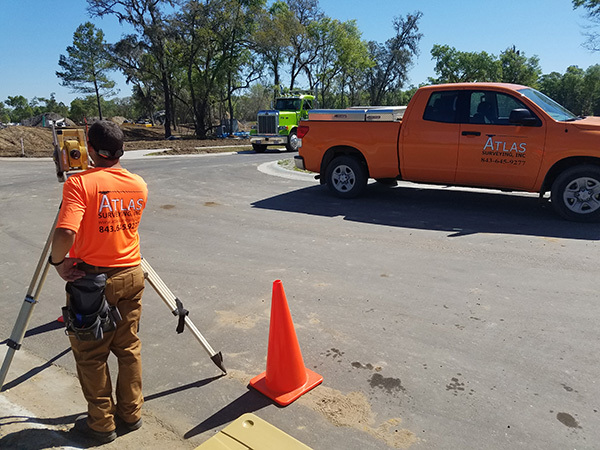 Contact Atlas Surveying today to find out how our resources, experience, and our attention to detail makes construction staking one less thing to worry about on your project.